Dr. Michael Lynn is a professor of consumer behavior and marketing at the Cornell University School of Hotel Administration. He received his Ph.D. in Social Psychology from the Ohio State University in 1987, and has taught in the marketing departments of business and hospitality schools since 1988. Dr. Lynn paid his way through school by waiting tables and bartending. This experience sparked his interest in service gratuities (tipping), a topic on which he has over 50 published academic papers. His other research focuses on consumer status and uniqueness seeking. 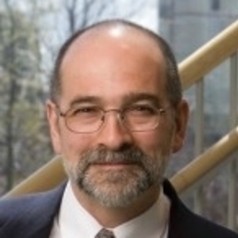 Dr. Lynn is the past editor of the Cornell Hospitality Quarterly, and is currently an associate editor of the Journal of Behavioral and Experimental Economics.